It’s been an interesting couple of years behind the scenes at the Vermont Sail Freight Project. Cross-categorical work like this has plenty of challenges, not the least of which is closing the credibility gap, and making the argument that marine cargo has a place in the 21st century. 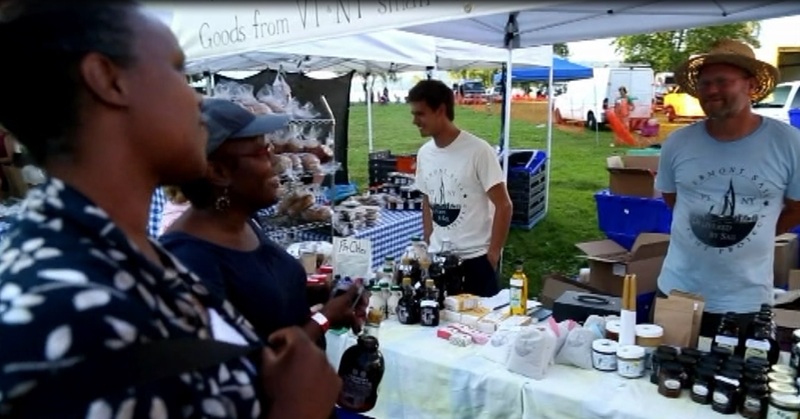 Our mission is much the same now as when we first set out–to make use of neglected cultural and environmental assets to connect producers to markets. To package the products in such a way that the values underlying both the goods themselves and the means of delivery are upheld. 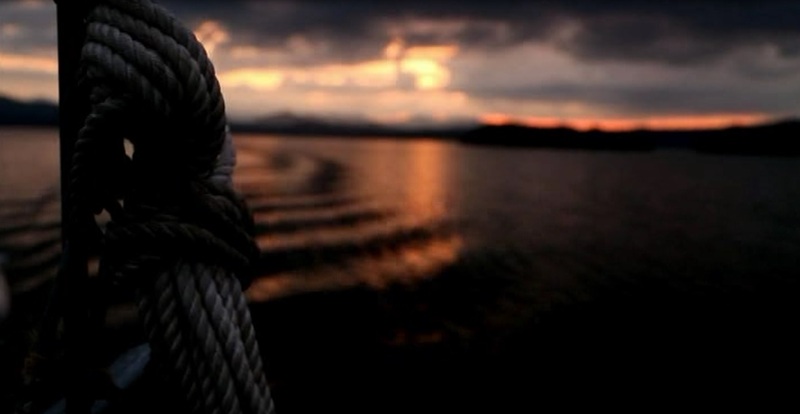 The grassroots collective known as the Vermont Sail Freight Project, generously supported and given a home by the Willowell Foundation, and helped through its infancy by the Eastman Foundation, the Waterwheel Foundation, and many generous individual donors, has done all we set out to do and more. However, I think we’re just getting started. Last year we made some partnerships that I believe will really set the stage for the expansion of this work to a meaningful and economically relevant scale. We have our sights on expanding routes to the Finger Lakes and overseas to the Caribbean as well. For 2015, we are now making plans that will ensure that Ceres will be a regular visitor to New York City. Larger vessels are now on the drawing board too, and we now have the experience base to progress to them. The saying goes, you have to learn to crawl before you can walk. In this Age of the Tweet, the value of experience and judgement is grossly underestimated. You may already know about how we pooled our resources and we built ourselves a little wooden ship. And it’s true that our team collected 13 tons of goods from 37 farms and delivered to about a dozen locations along the Champlain-Hudson trading route to general acclaim. It’s also true that we have some solid accomplishments to hang our hats on, some stuff to be proud of. But let’s say that while I don’t always air our shortcomings in public, it’s true that we have also made our share of mistakes along the way. What kind of mistakes, you might well ask? Well, I might start with the poor design of the keel of Ceres, where the fiberglass joints failed and admitted water to the cargo hold, necessitating a 2-week haulout and major repair just weeks prior to our highly-publicized departure with goods in 2013. And the inadequacy of our motor auxiliary systems. The lack of a shakedown cruise or time to complete our sail kit and resolve problems with the rig. The damaging of the tabernacle due to a simple oversight when lowering the mast, caught just in time before structural damage. Extremely basic liveaboard accommodations and shipboard electrical systems. The total absence of sensible land-based dock infrastructure almost everywhere we called. A back-breaking, disorganized approach to filling and emptying the cargo hold. Inadequate plans for marketing and distribution of our goods. The paucity of experience amongst our gang in handling a cargo scow in widely varied weather conditions. Numerous problems with haulouts. Flaws in the fiberglass emerging during winter storage last year, resulting in heavy leaking on launch in Spring 2014, which took weeks to address before we could begin the season. All of these issues dogged us (although you probably never heard about them) and some took a heavy toll on morale and our will to carry on. But carry on we did. And we’ve learned how to handle our boat, how to push her hard but not too hard, and where to fill and reinforce and patch to keep the water out. 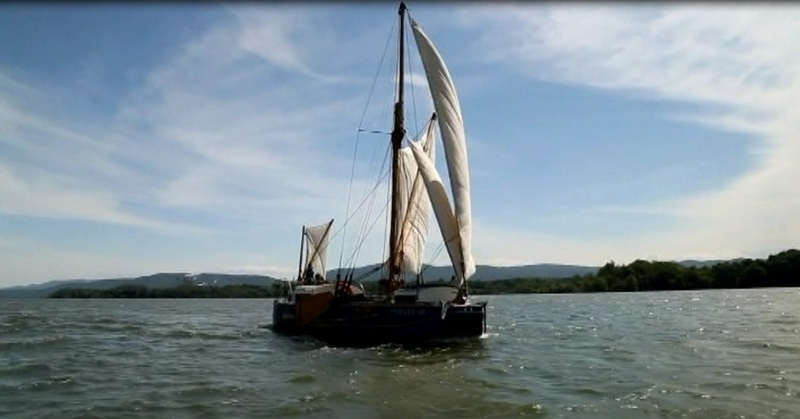 I would go so far as to say that the working rig is now approaching the level of refinement of our older British cousins, the Thames Sailing Barges of England, and is no longer the slapdash affair that first appeared in New York Harbor in October 2013. We’re honing in on a business model that makes the most of the virtues of marine freight and can sustain a modest company payroll. Little by little, we’re figuring out how to play to our strengths. None of this learning process could have taken place if we hadn’t had some room to stumble and fail, to recognize our shortcomings, and address them so that we could learn and grow. In the late 1970’s, during the days of the oil embargo, idealist Ned Ackerman set out to revive Maine’s working schooner tradition by building and launching a schooner of 83 tons to engage in coastal cargo trade. The shadow of this project, a similar endeavor to my own in that both set out to revive cargo by sail, is quite long: in 1991 when I attended the Rockport Apprenticeshop in Maine, boatbuilders there still cited the dramatic failure of this project as evidence that working sail is gone forever. 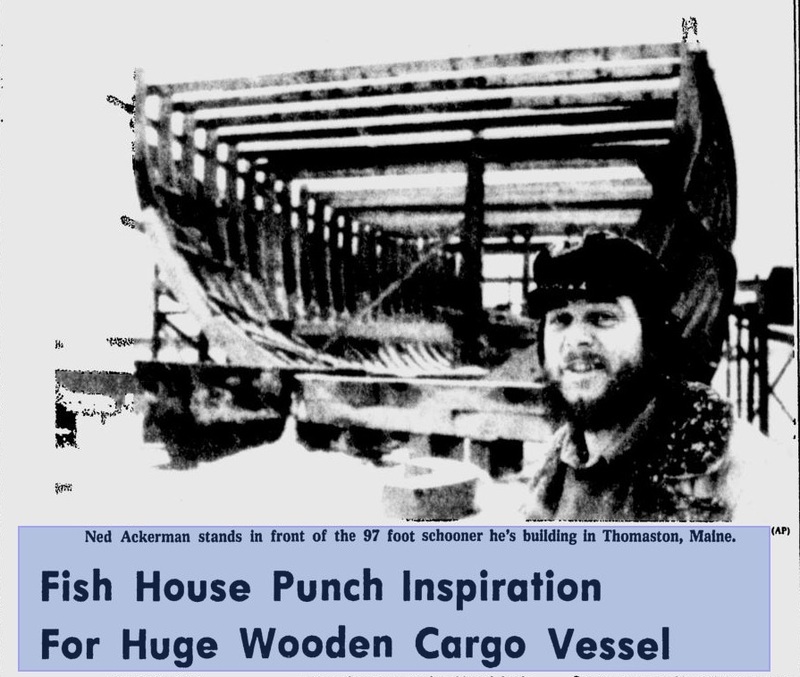 The visionary Ned Ackerman and his team had probably about as little practical experience handling heavily-laden cargo vessels in rough waters in 1979 as my team did in 2013. But I wonder, how might things have turned out differently for them if they had simply started smaller and given themselves room to fail, instead of doing what they did, which is to have their opening move be to head out into the forbidding North Atlantic, loaded right to capacity, at the very worst time of the year? Perhaps our seagoing forebears might have routinely handled such a challenge. But it’s wrongheaded to infer from that fact that we ourselves can do so. After all, those crews had the advantage of building up decades of individual experience, not to mention the fact that their careers were part of a real living cultural tradition stretching into the dusky past. Ackerman was attempting to resurrect a derelict way of life from the ashes and simply pick up where the old cargo sailors had left off, and off they went in November 1979, cracking on with a full hold into a howling gale. Things went bad, and the schooner foundered many miles offshore. The crew were rescued by coast guard helicopters. Ackerman and his crew were indeed lucky to escape with their lives. You could say that living through such an ordeal is punishment enough, but still I hold them partly responsible for setting such a poor example of how to honor and learn from our past. This group’s apparent lack of recognition that their effort was missing an essential component–the accumulated experience and judgement of the officers and crews who once made up the living working sail tradition–remains to me a dismaying oversight, and in a way, still strikes me as somehow disrespectful to the long-passed sailors whose work Ackerman hoped to revive. I doubt Ackerman saw it quite as I do, though, and in general I find his past noble, failed effort hugely sympathetic. But I suppose my experience farming and woodworking along traditional lines has impressed upon me the extreme difficulty we encounter when we try to measure up to those who have gone before. To accumulate any significant body of knowledge, you simply have to pay your dues. Those dues are payable in money, time, pain and suffering, or some combination of all of these. But they have to be paid if you aim to achieve anything truly worthwhile. Launching the Vermont Sail Freight Project has given me a chance to watch the beginning of mastery develop amongst my team, and it’s been both an extreme challenge and a great honor to see this happen. I want to stay with this and see it continue to grow at a sane, organic pace. I believe that our blend of commerce, appropriate technology and community-building is exactly what my region needs. I’m proud to announce also that we are on the verge of setting up the work on a new organizational footing with a new executive board. For those of you reading this who have done your bit for VSFP whether by donating, buying our goods, volunteering, or what have you, let me say thanks for helping us get this far. And to everyone reading this, you can weigh in on ranking some lead contenders for a new name for the venture. Please rank your favorite names here, it’s just 2 questions. And look for more updates soon, as we expect to roll out new web content and announcements about the coming season before long. I found this an admirable bit of writing. You have very well stated the necessity of the cultural transfer of earth and river and sea centered knowledge and wisdom. As you well know, I have been concerned for many years with the way our current society has discarded and broken the traditional generational chain of cultural transfer of wisdom. How are we to restore these broken links? How are we to recover these lost techniques and technologies? In watching your progress with the sail freight project, you are giving me hope that there is an answer to those questions. I feel that the humility with which you have approached the challenges of the project has been a strength in accomplishing the successes you have enjoyed. I truly admire the work you and your crew have done and wish you wind in your sails into the future. Thanks, Mike. I hope you hear echoes of in my words of things I learned in part from you, because I certainly count you high in my list of mentors! First of all I’d like to say that I’m delight that the project is still in operation. 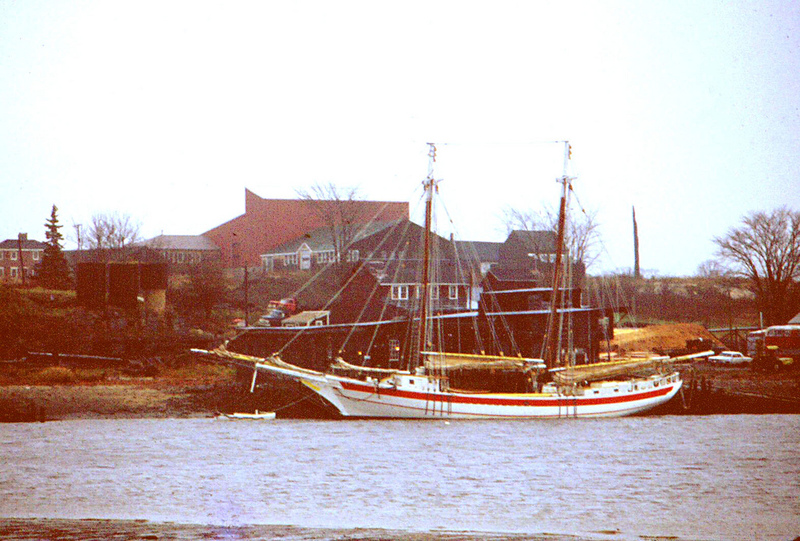 I remember the schooner John F. Leavitt and saddened when it was lost. The romantic in me really wanted them to succeed. Thanks for showing that commercial sail really can be done. Good luck and fair winds.